Windermere, Florida is an exclusive, affluent market for real estate in Central Florida. Windermere FL emerges only about 6 miles north of Walt Disney World and a bit southwest of metro Orlando. The upscale niche community has an ideal location in nearly every way. It also appears on the Butler chain of lakes and provides exclusive neighborhoods and luxury homes astride these lakes, golf courses and in elegant, gated ambiance. Windermere FL real estate hosts some of the best examples of custom homes in Central Florida. It’s residents enjoy added, 24/7 security and stunning views. Some of these views include Disney World fireworks right from your back yard. Not surprisingly, homes or sale in Windermere with their high quality and luxury amenities are in high demand. They typically don’t stay on the market for any length of time. For those interested in living in the private, bedroom community of Windermere, now is the time to check on homes for sale to get the best value for your dollar. Great neighborhoods where you can begin your search include Isleworth and Keene’s Point. Windermere FL real estate provides volumes of elegance in home features and property amenities. As a result, a number of famous people make their home in Windermere. Some of these exquisite Windermere homes include private boat docks and private lake shore. Homes for sale in Windermere often showcase these added boating and lakefront amenities in the offering. The community presents a unique level of luxury that combines incomparable elegance with an “Old Florida” feel. Homes for sale in Windermere help immeasurably to define that sense of gracious living. Around the community certain well-maintained, yet unpaved roads appear. White concrete signs and historic lake estates enhance that dated feel. 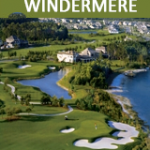 Find out more about Windermere FL, its real estate and community amenities. Get details on Windermere FL homes for sale, neighborhoods, schools and more with a unique real estate, lifestyle map search. If you have a question, contact us at Tolaris Realty. Expect the experience and expert real estate services you deserve. Windermere FL is affluent, yet relaxed. Its removed, quiet and safe. At the same time, it is close to a myriad of attractions, such as Disney World, other famous theme parks and downtown Orlando. Lakefront homes, other exclusive locations and master-planned neighborhoods and homes make Windermere more than a place to call home. They make it a discerning lifestyle. Seller Requirement: Buyer must produce proof of funds at full listing price. Nestled on a picturesque home site along the shores of Lake Bessie, this commanding waterfront residence blends a Spanish Mediterranean exterior with a modern transitional interior. Spanning more than 11,000 square feet, the six-bedroom estate boasts unique hand-selected finishes and accompaniments at every turn, from the grand foyer and gallery entry to the open great room with soaring ceiling, custom fireplace, grand staircase and floor-to-ceiling windows framing the fabulous water views. Overlooking the family room, the custom kitchen is the perfect family gathering space with a massive center island, beautiful custom cabinetry and professional appliances. The luxurious master suite offers a spacious bedroom with sitting area overlooking the lake complemented by an expansive bath with centerpiece tub, dual vanities, a walk-in shower and a spectacular two-story wardrobe. Further interior highlights include an artisan-crafted wine room and a formal study with custom fireplace and an exquisite door frame reclaimed from a Harlem townhome. The estate also features an upper-level conversion room with balcony, a spacious laundry room and a generous second floor apartment with a private living room and kitchen 8211;all accessed via elevator or exterior staircase featuring custom tile risers. Breathtaking water views can be enjoyed from an expansive multi-level terrace, pool and spa, and fenced grounds leading to the private boat dock. Nestled along the lake in the heart of Isleworth, this fully updated residence offers a prime location overlooking Lake Isleworth with direct access to the renowned Butler Chain of Lakes. The five-bedroom estate spans 7,008 square feet across two levels, with exquisite grounds and spacious outdoor living areas designed to maximize Florida lakefront living. Beyond its stately entry with solid stone columns and custom French doors with glass and iron detailing, the rich and open interior is flooded with natural light as dramatic windows draw your attention to the spectacular water views. Marble floors with wooden inlays pair perfectly with the ceiling detail that soars to over 20 feet in height. A gallery path separates this spacious formal living room from the formal dining room, which boasts a custom wine cellar positioned beneath the beautifully detailed grand staircase. The kitchen presents a feast for both the eye and palette alike with it 8217;s expansive center island, stamped copper backsplash and beautiful blend of cabinetry. Equipped with professional appliances, a walk-in pantry and an open breakfast nook, the kitchen overlooks the expansive living room highlighted by a towering stone fireplace, cathedral ceiling with wooden beams and floor-to-ceiling sliding glass doors that open for the ultimate indoor-outdoor living experience. The expansive grounds with a large and open lanai overlooking the sparkling pool, spacious sundeck, gas fire pit and private dock. The serene views are simply breathtaking. This newly remodeled Mediterranean-style lakefront house combines an elegant yet casual open concept floor plan that provides a comfortable family experience. Sitting on 1.7 acres, this 4 bed, 4/2 bath house offers stunning views of Lake Butler, a resort style pool with spa, outdoor kitchen, fireplace, and a covered boat dock with lift that awaits the water sports enthusiast. The floor-to-ceiling windows in the living room allow panoramic views and an abundance of natural light that, combined with the stylish fireplace, enhances the space. The kitchen is a chef 8217;s dream with prep island, Wolf appliances, gas cooktop, Sub Zero refrigerator, built-in vegetable steamer, and eat-in space. The breakfast area and spacious family room open to the outdoor living area through fully retractable L shaped doors. The master wing features a morning bar, bamboo flooring, a sitting area to enjoy the views, French doors to access the pool area, and spiral staircase that leads to a flex space which has been transformed into an over-sized closet. The master bath boasts a soaking tub and a generous walk-in shower with triple shower heads. Also on the 1st floor is an office with wet bar and wine refrigerator, 189; bath, laundry, and mudrooms. A gorgeous custom staircase leads to the 2nd-floor loft area and three over-sized en-suite bedrooms. To complete this masterpiece, there is a detached 1BR/1BA guest home w/living area & breakfast nook, a tranquil Koi pond with lush landscaping, and a fully air conditioned man cave.